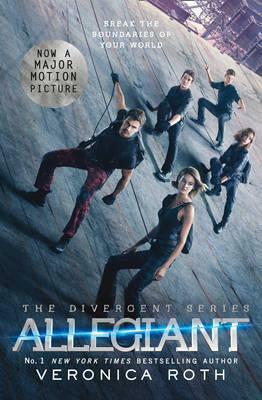 This distinctive edition of the third book in Veronica Roth's Divergent series features cover artwork from the major motion picture The Divergent Series: Allegiant, starring Shailene Woodley, Theo James, and Ansel Elgort. This special edition also contains never-before-seen bonus content! One choice will define you. What if your whole world was a lie? What if a single revelation - like a single choice - changed everything? What if love and loyalty made you do things you never expected? The explosive conclusion to Veronica Roth's No. 1 New York Times bestselling Divergent trilogy reveals the secrets of the dystopian world that has captivated millions of readers and film fans in Divergent and Insurgent.